Although I am super excited about the 64 new Cotton Color threads Sulky is introducing, I am equally excited that we are adding 16 of our most popular Sulky Blendables thread to the Sulky Cotton Petites thread line! Yes, that’s right, more Petites! If you do hand embroidery at all, the Sulky Cotton Petites thread are a must. They are 12 wt. cotton thread on a 50 yard snap end spool. Do you realize what that means? No more separating floss! No more tangles thread and no more loosing the end of thread since it will always be safely tucked into the snap end. I am not over exaggerating when I say that the combo of Sulky Cotton Petites and Sulky Sticky Fabri-Solvy changed my life (OK, slight exaggeration), but it did change my sewing life. I had all but stopped doing hand embroidery. Between the time it took to trace a pattern and get the floss ready to sew, I never got time to do any actual stitching. And don’t even get me started on hoops. With Sulky sticky Fabri-solvy, I print the pattern right onto the stabilizer, peel off the backing sheet and then stick it directly to the front of the fabric I want to stitch on, no matter what that fabric is. I can do wool, fleece, cuddle, cotton, kitchen towels, you name it. With the Sticky Fabri-Solvy on the front, I don’t need a hoop (praise the Lord)! Next comes the Sulky 12 wt. Cotton Petites thread. I just pull off the exact amount I need. No separating, no putting the whole skein onto a little cardboard card first. Then I safely tuck the end into the snap end of the spool. Since this thread is equal to about 2 strands of embroidery floss, it is usually the perfect thread size, but when I need it thicker, it is very easy to double and thread my needle. So now when I have 15 minutes, I can spend that time stitching instead of preparing to stitch. I started doing hand embroidery again because all of the things I didn’t like have been eliminated. Aren’t they great! Do you want a great project to use these beautiful threads on? I found these awesome hand embroidery patterns on the blog Turkey Feathers! This wonderful lady made a hand embroidery pattern of all the state flowers for all 50 states. I love them! We are using an adaptation of the Hawaii state flower the Hibiscus, as a free pattern that we are giving away at Quilt Market and Quilt Festival in Houston. 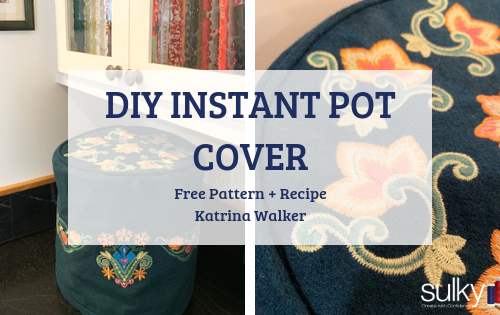 As a thank you to my loyal blog readers, here is the download for the pattern we are giving out at Houston (flower pattern ). 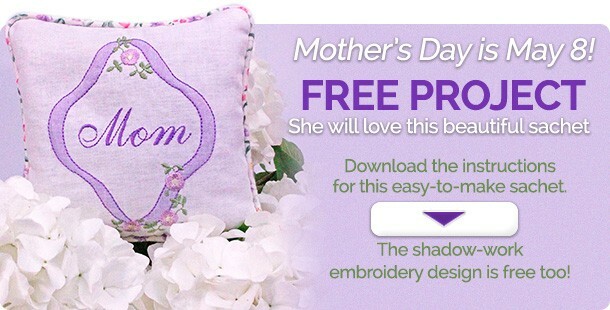 Just print it on Sulky Sticky Fabri-Solvy and you will be stitching in minutes. You can check out all 50 of the original patterns here. 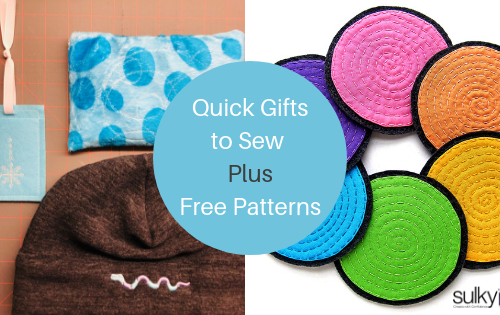 Did I mention that these are all free patterns? Don’t you just love when it’s free! Wow! I just may have to go back to hand embroidery just for this project. When will these be available? I can’t seem to find the new colors anywhere online for sale. Can’t wait to use them!